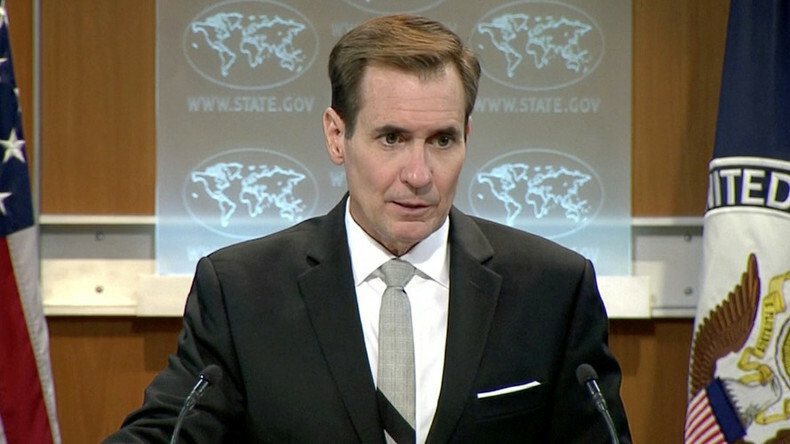 US State Department spokesman John Kirby has said American intelligence agencies are right not to disclose evidence of the report on Russia’s alleged interference in the US elections. The unclassified version of the report, released last Friday, stated that the Russian government tried to influence the US presidential election through leaks and hacking. However, the report contained no evidence of Russian hacking and was simply a “press release,” WikiLeaks founder Julian Assange said, adding that it was based solely on public sources such as social media platforms. As the State Department proclaimed “high confidence” in the findings, spokesman Kirby was asked by RT reporter Gayane Chichakyan at a daily press briefing on Monday whether the public should have the same degree of confidence without being able to see evidence of the claims. Kirby’s reply was somewhat muddled. He said that it was no surprise that “an unclassified version of a highly classified assessment” contained no evidence, and that it would be “irresponsible” if it was otherwise. “Most American people understand that [the intelligence agencies] have the responsibility to protect their sources and methods,” Kirby said, adding that it was up to the intelligence agencies to decide which information they shared with the public. Chichakyan then pressed on, asking whether the public had the right to see evidence when the intelligence community wants it to believe something despite presenting no proof. To illustrate this, she brought up the false 2001 US intelligence assessments on Iraq having weapons of mass destruction – invoked by the George W. Bush administration to justify the US invasion and occupation of that country. Kirby attempted to dismiss the comparison as “irrelevant,” saying it was a long time ago. I'm still waiting for the WMD'S to be found. Annie Machon, former MI5 intelligence officer, says it is hardly surprising the US spy community does not want to disclose the evidence considering the substantial doubts. “Of course they are going to claim the need to cut out the actual ‘smoking gun’ – the evidence – from this report. But actually, if indeed there has been hacking, there would be traces that could be found. The fact that those traces have not been found, have not been reported without any particular scientific methodology behind it, does make the report very evidence-light,” Machon told RT. It also notes that the CIA and FBI have “high confidence” in this judgment, while the NSA – which, in theory, would have actual surveillance data to prove the assertion – had only “moderate” confidence.